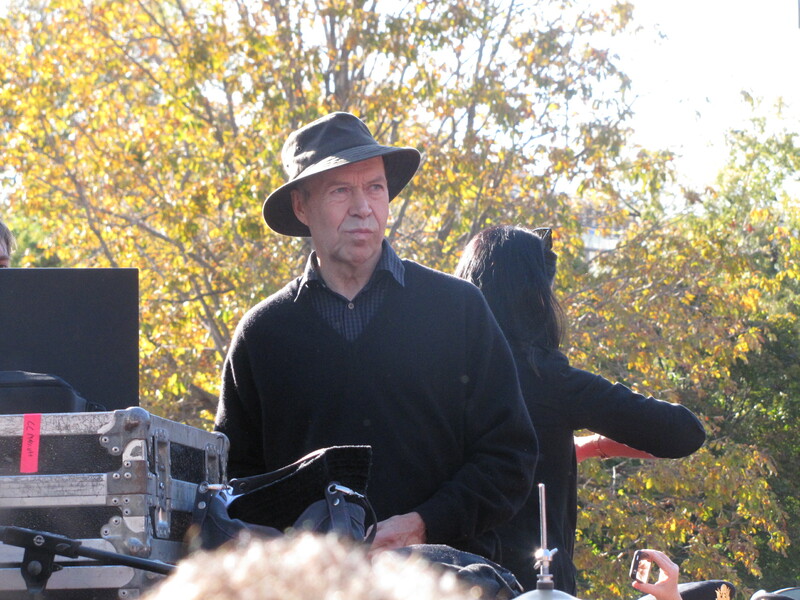 It was a rare pleasure to have the opportunity to speak with Dr. James Hansen, renowned NASA scientist and one of the world’s leading climatologists, at the Keystone XL protest in Washington, D.C. on November 6, 2011. He heads the NASA Goddard Institute for Space Studies in New York, a part of the Goddard Space Flight Center in Maryland. He is also an adjunct professor in the Department of Earth and Environmental Sciences at Columbia University. In our interview he explains why he believes the exploitation of the tar sands represents a turning point in our energy future and why tar sands oil simply cannot be extracted at ever-increasing rates if we are ever to get a handle on the climate change crisis. Dr. Hansen also addressed the crowd at the rally. In his speech (see video below), he advocated putting a price on carbon emissions by taxing fossil fuel companies and distributing 100% of the proceeds to the public through a monthly dividend. He also said that one of the most important things people can do is to support the organization Citizens Climate Lobby.